Karachi: As many as 55 modern locomotives imported from the United States of America (USA) have formally been included in the fleet of Pakistan Railways, which would prove to be revenue-generating engines also for the cash stripped railways. 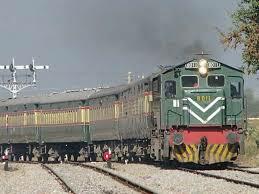 Pakistan Railways is all set for modernisation of its fleet and a PC-1 has already been formed and sent to the Planning Commission of Pakistan for the purchase of 300 more locomotives up to the year 2025. To improve service standard on the Bolan section, 20 specially made powerful locomotives are being imported in the first phase, while the import of dynamic-brake rail engines to be run in the hilly areas of the country would be finalised by the end of next year.